Editor’s Note: This post was updated on August 15, 2017, to include new honors class size averages based on our most recent data. In a previous post, Based on Academic Reputation Alone, Publics Would Be Higher in U.S. News Rankings, we write that many public universities have a reputation in the academic community that is much higher than their overall ranking by U.S. News. In this post, we will summarize the reasons that prospective honors students and their parents might consider paying more attention to academic reputation than to other factors in the oft-cited rankings. 1. The overall rankings penalize public universities for their typically larger class sizes, but the average honors class size in the 50 major honors programs we track is 26.3 students, much smaller than the average class size for the universities as a whole. Most of these honors classes are lower-division, where the preponderance of large classes is often the norm. First-year honors seminars and classes for honors-only students average 19 students per section. Result: the relatively poor rating the whole university might receive for class size is offset for honors students. 2. The overall rankings hit some public universities hard for having relatively low retention and graduation percentages, but freshmen retention rates in honors programs are in the 90% range and higher; meanwhile six-year grad rates for honors entrants average 89%–much higher than the average rates for the universities as a whole. Result: the lower rates for the universities as a whole are offset for honors students. 1. The net cost advantage of the public university, including merit aid, probably needs to be significant. 2. 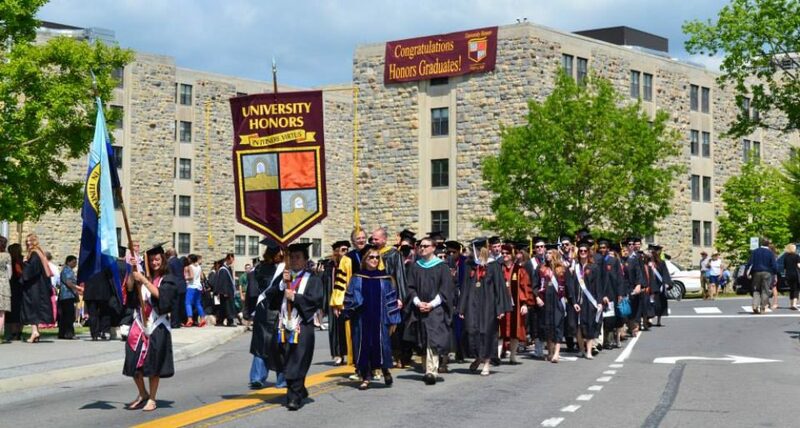 It is extremely important to evaluate the specific components of the honors program to determine if it provides a major “value-added” advantage–is it, relatively, better than the university as a whole. Typically, the answer will be yes. To determine how much better, look at the academic disciplines covered by the honors program, the actual class sizes, retention and graduation rates, research opportunities, and even honors housing and perks, such as priority registration.